Adding a new Industry is quite easy. 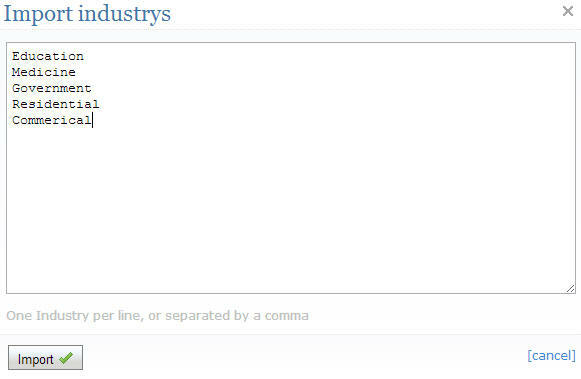 From the admin section you can add industries one by one. Alternatively you can cut and paste a list via the Import option. Is there any way to reorder industries to reflect alphabetical order?